Non-binary gender and LGBT his.. This post is dedicated to Alessandro Pedori. Happy birthday! … I’ve been meaning to write about writing for a while. When I went back through my all my old blog posts over the Winter holiday I discovered that it was something I haven’t said much about here since I started this blog back in 2011. The one post I did find from 2011 was prompted by an email from somebody asking for my writing tips, and so is this one. Thanks so much to Rena for asking for my tips for her person Alex, who is keen to write more. This is a great time for me to reflect on writing. I wrote the 2011 post after I’d finished writing my first book for a general audience (rather than an academic book or textbook) but a year before it got published. 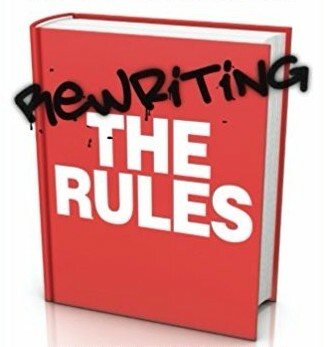 Now I’ve published six of those kinds of books, including a second edition of that first book Rewriting the Rules. I’m working on two more non-fiction books as well as allowing myself to return to fiction writing: something I hadn’t done for years and have never published. I’ve always had a dream to mash up genre fiction like ghost stories and erotica with self-help and memoir. I’m finding that fiction writing is teaching me a lot about writing style and process that feeds back into my non-fic too. Having long defined myself as equal parts writer, therapist, activist, and academic. I’m now just going for writer first and foremost, and seeing the other three aspects as things that inform my work as a writer. So what are my top tips for becoming a writer? Before I start in with the practical stuff it’s important to say that – as with so many things – privilege of all kinds makes it a great deal easier. It’s enormously hard to make a living from writing. Sixteen books in and my yearly income from writing is still in the low thousands, and it would be in the hundreds if it wasn’t for one of those books (Queer) being pretty successful. Remember that the writer gets only a small percentage of published book sales. Personally I’m extremely fortunate to have a paid job – at the Open University – which includes public engagement writing as part of my role and gives me some time for it, as well as having writing (textbooks and websites) as a main focus of the teaching work that I do. If your job doesn’t pay you to write, or if you’re unemployed and dealing with the benefits system, it can be much much harder to find time, energy, and motivation for writing. The other main block to writing – alongside paying the bills – for most of us is our inner critic. Writing tends to bring up all our old shameful messages and pretty much every time I start a new project I face an internal barrage of ‘who do you think you are?’, ‘you don’t know enough to write this book’, ‘you’re going to get it horribly wrong and offend people’, etc. etc. etc. There’s something extremely vulnerable about setting words down on a page: like it might capture our essence and set it in stone, and then if people respond badly it means that we ourselves are bad. So what ways have I found to write in spite of everyday commitments and an often very vocal inner critic? Here’s a list but it’s important to remember that different things work for different people. As I said in my previous post, no two writers are identical, and you might well find it helpful to read a few books about different authors’ approaches to get a sense of the variety of writing practices that can be helpful. I got this one from Stephen King’s awesome book On Writing, which I return to regularly. How I understand it is that when I’m writing the first draft of a book I just write it for me. I try and put all my concerns about how it will be received, whether it’s problematic in some way, even whether I’ll be able to publish it, on a high shelf and just write however it comes. If I start to get anxious I remind myself that I will be going back through it with all of those thoughts in mind once I reach the end (probably after a month or two to give me some space from it). I make myself a bullet point list of questions to ask during the rewrite so that I can put them aside while I’m writing. I also remind myself that I’ll be passing it by a bunch of beta readers before it goes out more widely who will help me pick up on any errors or problems. Knowing that I’ll be rewriting with the door open helps me to fully drop into the writing and allow it to flow, instead of that horrible jolting, slow process it can be if you’re questioning every word as you put it down on the page. I’m pretty sure Stephen King has this one too, as do many writers about writing. It is SOOOO easy to procrastinate writing. It is SOOOO hard to actually start writing, especially a big project which can seem impossibly huge when you’re at the beginning. When I wrote Rewriting the Rules the person I lived with at the time suggested writing for an hour at the beginning of every day, no matter what. No word counting, no worrying about how good it was, just keeping the hand moving – as Natalie Goldberg puts it – for an hour each day. After an hour, if it was feeling painful – or if I had other things I had to do that day – then I’d quit. But if it was going well – and I was able to – I could keep going. The first three chapters of that first book were pretty painful and I mostly stopped after an hour. But by chapter four I’d got into the groove and, when I was able to, I kept on writing beyond the hour. The other good thing about morning writing is that you do it while you’re fresh before the day properly kicks in. I would usually do it after taking some time outside with a cup of coffee to prepare myself. However, of course, not everyone feels creative in the morning, and you need to tailor your writing ritual to you daily rhythms. Perhaps for you it’s your lunch break, or the hour after you get home from work, or the hour before bed. For me in those early stages of a project I often find it hard to write at home. I can always find a million other things to do there. It’s often really good to take an hour or two out somewhere. Somehow I find it easier to sink into it that way. Cafes are great if you can afford them. I’ve become an expert in which London cafes will allow you to sit for 2-3 hours on one cup of coffee, as well as on free spaces like libraries and museums where you can go and write. You can also think about whether you write better longhand or at a keyboard. For me once I’m into a project keyboard is fine, but longhand writing can flow more easily in the early stages. I’ve heard of current writers who’ve written their whole first drafts in journals. This advice is a bit of a contradiction to advice about finding your writing rhythm or ritual, but when possible it’s great to write when your project feels live to you. It’s so much easier to plunge in at those times when you’ve just had a great idea, or you feel the hunger for it, than it is to force yourself to focus when you’re not in the zone. You might find that certain things tend to enliven you – like going for a walk and thinking about your writing, or journaling about all of the things you want to write about, or chatting with a fellow writer. Writing when it’s live gives you the experience of just how joyful and thrilling writing can be, which makes it much easier to come back to than if every experience of writing is gruelling and hard. For me, having a couple of projects on the go at any one time, as well as my blog, means that I can go with the one that feels most live on a particular day. I also find that fiction or memoir style writing can work as a good warm-up for other stuff. Something that has cut through the blocks at the beginning of most writing projects for me has been imagining my ideal reader. When I was writing the Queer book I got totally hung up on what well-known queer theorists might think of it and found it really hard to get started. Then I imagined the people who I actually wanted to benefit from the book: people who thought they might be queer, people who were struggling to get their heads around these complex ideas, people who were really scared of getting it wrong with the terminology. Shifting into writing for them helped a lot. When Alex Iantaffi and I were writing How to Understand Your Gender, we often thought about the younger versions of ourselves who could really have used a book like that. Speaking of Alex, you do not have to write alone! We have this image of the lone writer in the garrett, but some of my best, and most enjoyable, writing has been done with somebody else. Somehow writing with a colleague cuts through the inner critic, because you know that what they have to say is awesome, and they know that what you have to say is awesome. Also you can worry less about the things that you know you don’t know much about if you’re writing with somebody who brings those areas of experience or expertise that you lack. If you do collaborate I’d suggest choosing writing partners carefully. It’s a very intimate relationship, and like all of those it will have its challenges. Make sure you chat up front about what your writing process will be and find a way that feels write to both/all of you. Personally I’ve found it vital to prioritise self-care first and foremost and to put everyone’s well-being at a much higher priority than deadlines, or even whether the book gets published at all. As with other aspects of relationships it’s helpful to think about what you can offer, and what you can’t. For example, just because somebody is a writer doesn’t give them permission to treat you badly (and we can get grumpy!) It’s okay to expect us to be present with you when it’s our time together. Us being a writer doesn’t trump the things in your life that are important to you, for example in conversations about how to manage finances, childcare, or domestic chores. It’s fine whether or not you’re into the kinds of things that we write. Just because you are our person, doesn’t mean you have to love our work. We can find other people for that. Don’t feel that you have to be our ideal reader just because we’re partners or friends, for example. Give us space! We will need time and space to write in. It’s great if you can encourage us in that, whatever it means for us, whether that’s carving out a space in a shared home where we can go without interruption, or reassuring us that it’s good to go off on writing retreats. Expect the rollercoaster of emotion. Sometimes we’ll be convinced our current project is a work of staggering genius and will change the world. Sometimes we’ll be convinced that it’s dross and we’re just wasting our time. It’s great if you can sit alongside us in those feels, and everything in between. You don’t have to fix it for us, just trust that as we keep writing we’ll eventually find more of a balanced perspective. If we become insufferable it’s fine to take some space from us or encourage us to get some support from elsewhere! My initial post about writing has a few more tips, as well as links to my articles about more academic writing.